The simple question of how to calculate the statute of limitations in a mortgage foreclosure has finally been answered by the Florida Supreme Court. And the banks won. Mortgage lenders may file new foreclosure actions against borrowers who won foreclosure cases more than five years ago if the borrowers defaulted again within five years of the first case’s dismissal, the court ruled. We discussed this topic previously. At the time, the Florida Supreme Court had not issued its ruling in Bartram v. U.S. Bank National Association, a case focused on whether the statute of limitations had run or not. 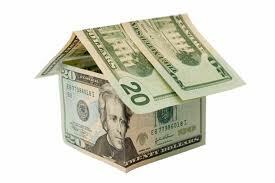 In Bartram, the mortgagor obtained a note and mortgage with a Bank. Within the year, he stopped making the required payments. The Bank subsequently filed a foreclosure action which was involuntary dismissed five years later when the Bank failed to appear at a case management conference. After dismissal, the mortgagor once again failed to make the required payments and the Bank once again filed to foreclose the property. The mortgagor stated that the Bank could not file the claim because it was outside of the 5-year statute of limitations. On certified question by the 5th DCA the Florida Supreme Court was asked whether an acceleration of payments due under a residential note and mortgage with a reinstatement provision in a foreclosure action that was dismissed pursuant to the Florida Rules of Civil Procedure, triggers application of the statute of limitations to prevent a subsequent foreclosure action by the mortgagee based on the payment defaults occurring after the dismissal of the first foreclosure action. The Court answered that question in the negative. The Court explained that a lender is not precluded by the statute of limitations from filing a subsequent foreclosure action after the involuntary dismissal (with or without prejudice) of the first foreclosure action if the alleged subsequent default occurred within five years of the subsequent foreclosure action. The Court reasoned that the effect of an involuntary dismissal is a revocation of the acceleration, which reinstates the mortgagor’s right to continue to make payments on the note and the right of the lender to seek acceleration and foreclosure based on the mortgagor’s subsequent defaults. A subsequent default after dismissal is a new and independent right to accelerate which starts a new statute of limitations. The lender is not barred by the statute of limitations from filling a subsequent foreclosure action premised on a separate and distinct default. 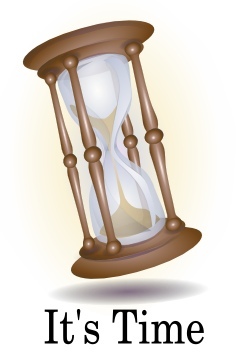 The statute of limitations runs from the date of the new default, and this new default gives the lender the right to accelerate all payments due. The Court concluded that since the original foreclosure action was dismissed, the Bank could not then accelerate the payments but the default after dismissal triggered the Bank’s ability to file a second foreclosure and accelerate the payments. 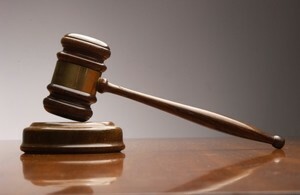 The Third District Court of Appeal has reversed two foreclosures recently. Each case represented a unique fact pattern. But taken together, these cases represent a continued effort by the Third District Court of Appeal to ensure that homeowners have their fair day in court. The Third District Court of Appeal is attempting to ensure that all the procedures that are followed in just about every other case are also followed in foreclosure matters too. In Rocketrider Pictures v. Bank United, 138 So.2d 1223 (Fla. 3d DCA 2014), the appellate court was confronted with the issue as to whether or not the judicial sale of property after the entry of a foreclosure judgment was proper given that the judgment entered was only against the wife, and not the husband, despite the fact that the property was owned by both the husband and wife as tenants by the entireties. It is a fundamental concept that where tenants by the entireties are involved, one title holder cannot be divested of title without the other because both tenants own the entire property together; equally and completely. As a result, “[p]roperty held as an estate by the entireties is not subject to the hen of a judgment against one tenant alone.” Teardo v. Teardo, 461 So.2d 276 (Fla. 5th DCA 1985). In Morlock v. Nationstar, No. 3D14-1247 (Fla. 3d DCA 2014), a homeowner won a wrongful foreclosure dispute with its bank. In that case, the appellate court concluded that the trial court had abused its discretion when it wrongfully entered a final judgment against the homeowner. The final judgment was entered because the homeowner was defaulted. However, the default should never have been entered given that the homeowner had properly and timely filed extensions and had also filed its answer to the complaint and asserted affirmative defenses as well. Don’t hesitate to contact us to discuss these cases further, or if our firm could be of additional assistance to you and your real estate needs. The Third District Court of appeal seems to be trying to stop the legal shenanigans taking place with foreclosure cases in Miami where some Judges appear to not want to follow the law and rules of procedures that apply to all the other cases. Indeed, the appellate court recently reversed a foreclosure dismissal. We recently discussed how the Third District Court of Appeal vacated a final judgment entered in the bank’s favor because of the bank’s reliance on inadmissible hearsay testimony to prove their case. Now, the Third District Court of Appeal has reversed a bank’s dismissal because of the Judge’s abuse of discretion. In Ocean Bank v. Garcia-Villalte, the trial judge issued a trial order despite the fact that the case was not at issue and could not be set for trial in accordance with Florida’s Rules of Civil Procedure. Nonetheless, and despite the fact that the case was simply not ready for a trial, the trial judge dismissed the case when it learned that the bank’s attorney had failed to timely send a copy of the Judge’s trial order to the homeowner. On appeal the bank argued that the Judge had abused his discretion in dismissing the bank’s lawsuit, and the appellate court agreed. In so doing, the appellate court highlighted all of the irregularities that went into the trial judge’s decision to dismiss the bank’s case. What this case illustrates is that the Third District Court of Appeal is trying to take a hard line stance for both borrowers and the banks, as well as the Judges, to ensure that due process is not abused and that all the litigants have their fair day in Court. You should contact our office if you are struggling to save your home in order to assess your legal rights. Indeed, while the bank won this case, in the bigger picture this is a victory for everyone that is trying to fight the good fight within the rules and laws of Florida. Any deviation from that legal framework – be it by the borrower or bank – will be reigned in by Florida’s appellate courts. Foreclosure filings in 2013 were down 26% from 2012. These filings included notices of default, bank repossessions, and scheduled auctions. The foreclosure rate dropped to 1.04% in 2013, as one in every 96 homes reported at least one foreclosure filing. This rate is significantly lower than it was in 2010 when we saw a foreclosure rate of 2.23%. Although this is the case there are still many homes in danger of foreclosure as borrowers owed at least 25% more than the homes actual value. Repossessions were also down 31% from 2012, as there were 463,000 homes repossessed in 2013. This is a great number considering there were more than a million repossessions in 2010. Although the numbers as a whole look great, Florida is still the leader in foreclosures. Last year Florida saw 270,000 properties or over 3% of all housing units, that obtained at least one foreclosure filing. That’s a significant number considering it’s over twice as much as second place California. Like Florida, Miami is the number one city in foreclosure proceedings, as one in every twenty-five homes or 96,710 properties has a foreclosure filing. This is up 44% higher than in 2011, which means that Miami is behind in bringing down its foreclosure filings. On the other hand, 2013 foreclosures filings for new matters were actually down. 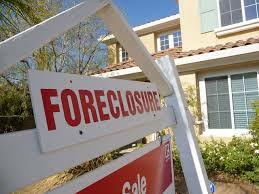 In 2013 there were 16,704 foreclosure filings in Miami-Dade County compared with 26,202 in 2012. As such, in Miami, there is still a hefty backlog of foreclosures being pushed through the judicial system. The good news, however, is that as the home market rebounds less homes are underwater. Additionally, home prices continue to increase as interest rates continue to remain at historic lows. August proved to be a good month for Florida’s foreclosure rate, which is continuing to drop. 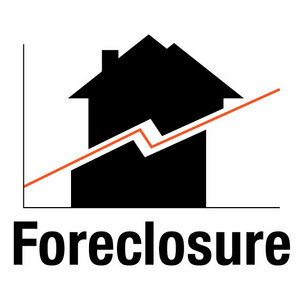 In August, there were 23,372 properties in Florida that received foreclosure filings. That number is down a whopping 15% from last year in August, and 14% from July alone. This is the lowest level in Florida since 2005 and reflects and overall decrease of 65% for new filings. In Miami-Dade County, every 264 residences have at least one home to receive one type of foreclosure filing in August. This is almost a 20% decrease from last year, and nearly 15% from July. Broward County fares better that Miami in that one in every 372 residences got a filing for foreclosure. Even with all that good news, however, Miami still holds the highest foreclosure rate of the top 20 metropolitan cities. As for actual filings, in August there were 797 foreclosure filings in Miami-Dade County. In September there were 914 foreclosure filings in Miami-Dade County. These numbers are down from 2012. In August of 2012, there were 2,627 foreclosure filings, and in September of 2012 there were 1,995 filings. Through September of last year there were 19,933 foreclosure filings in Miami-Dade County, but so far this year there have only been 13,634. On the other hand, many foreclosures are already in the later stages and we have seen scheduled auctions increase by 39% since last year. 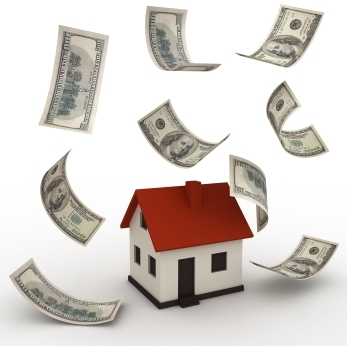 Bank repossessions have also risen from last year by 48%. 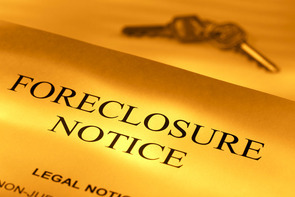 If you are facing a foreclosure, you have options available to you. One of them is a defense to your case. If you are in doubt regarding your rights, don’t hesitate to contact us today to discuss further. The Fourth District Court of Appeal recently reversed the entry of final summary judgment in the bank’s favor because of procedural deficiencies. Regions Bank had filed a foreclosure lawsuit against homeowners Michael and Elaine Seale. The homeowners had filed several defenses to the foreclosure lawsuit. The defenses included the allegation that the Bank lacked standing, that the Bank was not authorized to bring the action on behalf of the owner of the note, and that the bank failed to provide required default, acceleration, and opportunity to cure. Nonetheless, the trial court granted summary judgment in favor of the bank, and the homeowner appealed. By entering summary judgment in favor of the Bank the Fourth District Court of Appeal found that the trial court erred, because the Homeowners affirmative defenses were not factually refuted nor were they found to be legally insufficient. In so ruling, the appellate court noted that a wealth of case law makes it clear that in the mortgage foreclosure cases, summary judgment is precluded if affirmative defenses are not factually refuted or shown to be legally insufficient. In this particular case, legally sufficient defenses were erroneously struck, because nothing in the record refuted the claims made by the Homeowners. The case has been reversed and remanded because the Bank did not provide the required notice of default and acceleration. This is another illustration of how the banks are often in a rush to get to judgment. If you are facing a foreclosure, you have options available to you. One of them is a defense to your case. If you are in doubt regarding your rights, don’t hesitate to contact us today to discuss further. Can Eminent Domain Solve The Foreclosure Crises in Miami? The foreclosure crisis has not only impacted many Americans, but it has also impacted many communities. Homes that fall into foreclosure often fall into a state of disrepair. That leads to increased blight, a continued negative downward spiral of decreased real estate prices, and depressed neighborhoods. Even in today’s improving real estate market, the continued blight of foreclosed homes continues to be a problem for many of our hardest hit communities. One local community is attempting to take a novel approach to solving this problem. The mayor of Richmond, California believes that the banks put all these people into loans that they simply could not afford. Then the banks refused to work with any of the homeowners in an effort to renegotiate the loans to make them affordable. Consequently, the mayor is threatening to use, and invoke, the government’s eminent domain power in an effort to buy back the property. 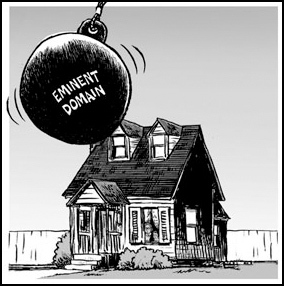 Eminent domain is a process that involves seizing private property for public use. Government use of eminent domain is most commonly used in the construction of roads and other government infrastructure. If Richmond proceeds with its plan, however, it would be the first city in the nation to use its municipal power of eminent domain for mortgages. Richmond’s plan would involve acquiring underwater mortgages at steep discounts, and then restructuring them to make them affordable for homeowners. While Richmond’s elected leaders emphasized that they would prefer to acquire the mortgages through negotiations with banks and investment firms, eminent domain would be an option to force the sales. Then, once the city owns the property, they will in turn sell it back to the homeowner at a nice profit. Probably most importantly, the homeowner will be afforded an opportunity to buy the home back at a price, and with interest rates, that they could afford. The idea behind the plan is to try to use the government’s powers to strong arm the banks into negotiating with homeowners. Many banks are crying foul. They claim that if the government were to move forward with this eminent domain plan that it will chill many investors in the future from providing prospective homeowners loans in the community in question. In fact, several banks have taken the unprecedented step of filing suit against the City of Richmond in order to secure an injunction and enjoin the City of Richmond from moving forward with its plan. Too often in today’s partisan political gridlock politicians are simply afraid to think out-of-the-box. This is no doubt a new novel approach in an effort to solve an age-old problem. But the approach proposed by the Richmond city officials begs the question – is this truly a workable plan to help solve the on going foreclosure crises still gripping our nation and local communities?